Alison Thewliss MP is encouraging constituents in Glasgow Central to take advantage of smart meters to help save energy at home. 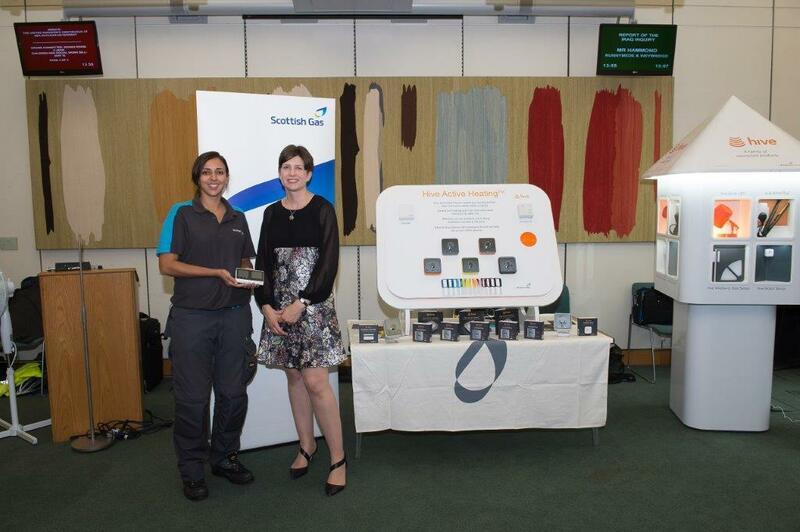 This week, Ms Thewliss attended a British Gas event at Portcullis House in Westminster, to see how constituents can save money on their bills thanks to innovative energy saving technology. British Gas’ Smart Energy Experts, who install smart meters in homes, were on hand to showcase the technology and to talk about the benefits to customers, as well as explain the company’s new FreeTime plan, which offers customers free electricity on Saturdays or Sundays between 9am-5pm’. In Glasgow Central, more than 2100 smart meters have been installed in homes by British Gas. * British Gas smart meters replace standard meters and come with a smart energy monitor which helps people to better understand their energy usage, resulting in potential savings on bills. * British Gas smart meter customers also benefit from an end to estimated bills, because the meters automatically send accurate readings to the supplier. * British Gas customers with smart meters can benefit from ground-breaking new plan offering free electricity between 9am and 5pm on Saturday or Sunday. 1. “Turn the lights out. If you leave a room, or don’t need the lights on, flick the switch and turn them off. 2. “Putting hot food in the fridge wastes energy and is bad for your appliance. So let it cool naturally first. 3. “Only fill the kettle with as much water as you need. There’s no point boiling a full kettle if you’re only making tea for yourself.